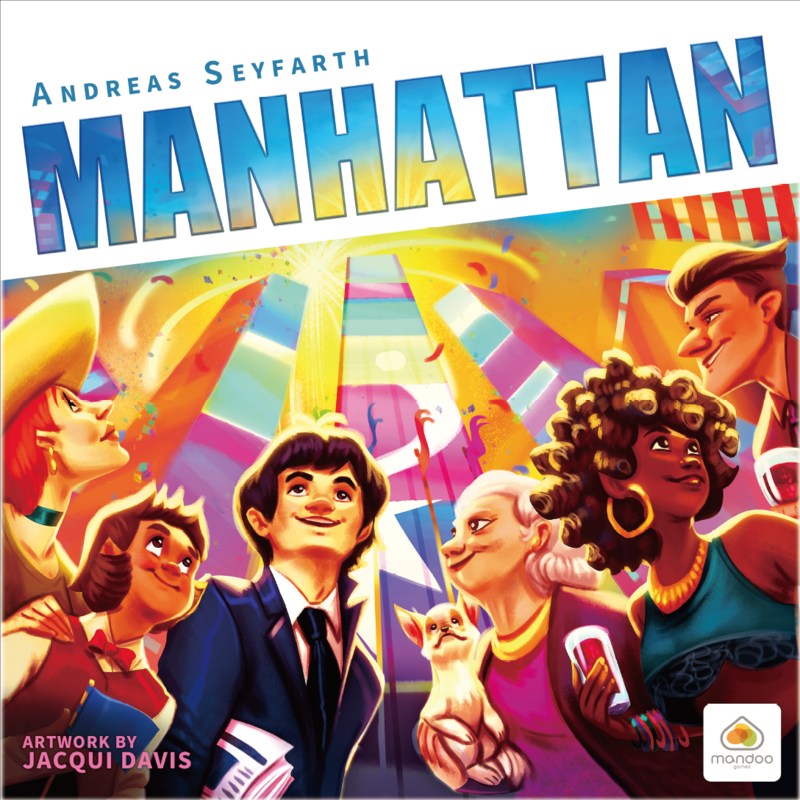 In Manhattan, players construct a skyline of skyscrapers over several districts, or city blocks, of Manhattan Island. Ultimately, each player seeks to have built the tallest buildings in the most city blocks of the Island. Each turn, players will play a card that illustrates which part of a city block they may place a "floor" on a building. The placement card is unique for each player in that the section they may place in is relative to their seating at the table. The player who has placed the top most floor controls that building. Each round, scores are tallied based on control of each of the neighborhoods. At the end of the game, the player who has scored the most points through area control and tallest buildings wins. Note: In the Finnish edition, the districts are named after six great cities of the world: Hong Kong, Sao Paulo, Cairo, Sydney, Frankfurt and Manhattan.